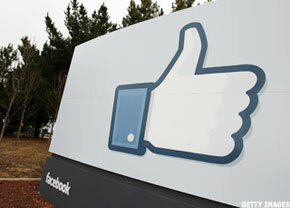 Facebook's IPO is set to go public later this month, but revenue growth is slowing. Is it worth $100 billion? Updated from 10:39 a.m. EST to provide comments from Boston University in the second and seventh paragraphs. NEW YORK ( TheStreet) -- As Facebook gets set to go public later this month, some are beginning to question whether the social networking giant is worth the investment. Facebook last week filed an amended S-1, with first-quarter revenue rising 45% year over year to $1.06 billion (ad revenue rose to $872 million). Revenue fell 6% sequentially from the fourth quarter of 2011 when it generated $1.13 billion in sales. Revenue growth is a major issue for investors, according to Boston University professor N. Venkat Venkatraman, chairman of the Information Systems Department of BU's School of Management. "Other investors will focus on Facebook's monetization machine and question if Facebook could create and maintain the growth in revenue and profits," Venkatraman said in an email. At around $3 billion in trailing revenue, that would value Facebook at about 33 times revenue. By comparison, Google ( GOOG - Get Report) trades at 6.04 times revenue. Revenue growth is much slower at Google, with first-quarter growth coming in at 22% year over year, compared with Facebook's 45%. Even though there are worries over Facebook's traditional advertising model, the company offers something no other traditional online advertiser like Google or Yahoo! ( YHOO possesses: the "like" button. A simple concept, users click the "like" button whenever they see a post, a brand or a comment they like. "If Facebook can turn the 'like' button into effective advertising, the possibilities are endless," said one hedge fund analyst who declined to be named. "It could make them a trillion dollar company." Facebook has more than 901 million monthly active users, up from 680 million in the year-ago quarter. The company made sure to note its users are generating 3.2 billion likes/comments per day, a metric the company obviously sees as important, listing it near the top of its S-1 filing. Besides the slowing revenue growth and worries over effective advertising, there's the issue of whether CEO Mark Zuckerberg has too much power, and whether he is looking out for the best interest of shareholders.
" There will be voices questioning the excessive power vested with Zuckerberg," said Boston University's Venkatraman. The company's S-1 filing lists Zuckerberg's decision-making as a risk factor, due to him owning a majority of our voting stock. "As a result, Mr. Zuckerberg has the ability to control the outcome of matters submitted to our stockholders for approval, including the election of directors and any merger, consolidation, or sale of all or substantially all of our assets," the filing said. This has become more prevalent given Facebook's recent acquisition of Instagram for $1 billion, which Zuckerberg reportedly negotiated almost entirely himself. Or the recent patent acquisition from Microsoft ( MSFT - Get Report) for $550 million. Microsoft originally purchased a block of patents from AOL ( AOL. Zuckerberg's interests also may not align with shareholders, despite him having a fiduciary duty to stockholders to act in good faith. "As a stockholder, even a controlling stockholder, Mr. Zuckerberg is entitled to vote his shares, and shares over which he has voting control as a result of voting agreements, in his own interests, which may not always be in the interests of our stockholders generally," the filing said. That can not give investors hope, although some still believe it's a long-term buy. Darren Chervitz, an analyst with Jacob Internet Fund ( JAMFX, believes that Facebook will be valued with its position on the Internet, but the valuation at the IPO might be a little high for some. "Generally speaking, I like to wait a while after a company comes public so I can get a better sense of what's going on. Clearly I think there's a benefit to waiting until the lockup period expires," Chervitz said. "It's one of those companies that defines how the Internet is. To be an Internet fund and not have a position in Facebook, you have to make a strong case as to why you're not in it." Interested in more on Microsoft? See TheStreet Ratings' report card for this stock.